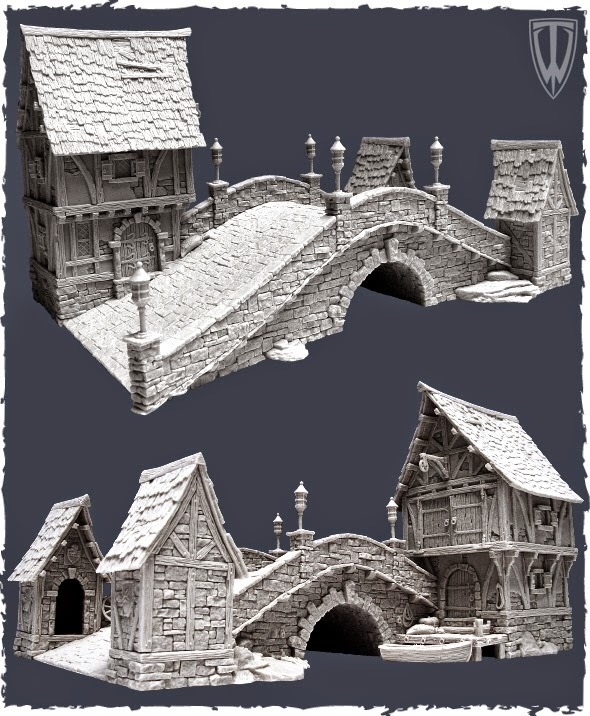 Last week Tabletop World released their latest terrain piece. 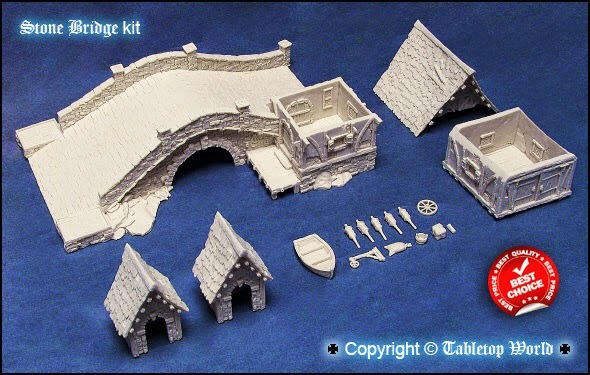 I really like this piece and one is currently winging its way from sunny Croatia for my gaming table. The Tabletop World sculpts are fantastic quality and beautifully detailed both inside and out. You can see that this is another multi piece kit but like all their buildings it is really functional. so tempting to build an entire table around this terrain piece. How wide is the bridge, do you know? Does it fit a 100 or 125 frontage unit on it?